Download a free demo copy of the quilting software here! Quilter's Creative Touch Software, Computer Automated Quilting, does not include Quilt CAD which only comes with Quilt Motion PRO version. Tablet shown for loading software to is not included. With Quiltmotion Software you will enjoy the benefits of a professional automated quilting system in the comfort of your own home! You import, edit it, QuiltMotion quilts it! QuiltMotion takes you seamlessly through pattern editing to stitching with absolute ease. 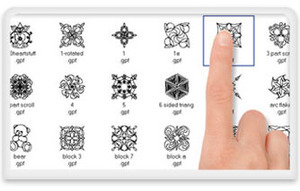 Get precision quilting at your fingertips, with the new Quilter’s Creative Touch Software bundled with QuiltMotion! Use this new user-friendly software to edit and layout your quilt projects on any windows 8 through 10 tablet or PC, and let QuiltMotion quilt it with precision. Quilter's Creative Touch carries over the basic functions of QuiltMotion, with a wholly new designed user-interface and many new features. Every function has been carefully re-designed to make pattern creation and automatic quilting easier. 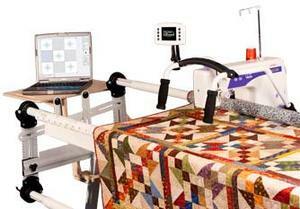 Quilter's Creative Touch 4 is the top–of–the–line automated quilting system. Enjoy the power of simplified pattern sewing with steps as easy as: select, place, and sew! Have the ultimate quilting experience with the advanced features needed to design, edit, layout, and quilt with absolute precision. Quilt your masterpiece with ease as Quilter's Creative Touch takes your ideas from design to reality. LET QCT4 DO THE QUILTING FOR YOU! Quilter's Creative Touch 4 lets you design and place your patterns the way you want, and then it quilts them out for! You'll love seeing your favorite patterns professional quilted by your own quilting machine. Quilter's Creative Touch 4 Beginnings is an automated quilting software that enables your quilting machine to sew on its own. The Beginnings version of the Quilter's Creative Touch 4 features easy pattern editing (sizing, rotating, flipping), and Panto Stacker™. 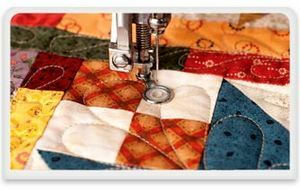 Create and edit your own pantographs which can be stacked continuously and used to complete an entire quilt. Select a pattern from the built-in library (including over 200 design patterns), digitally place the selected design on your quilt, then sit back and watch as your machine does all the sewing for you. All you have to do is roll the quilt to the next section. 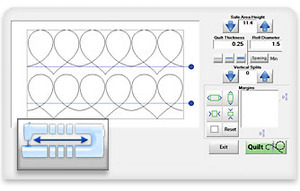 This time-saving software is compatible with a variety of domestic quilting machines, mid-arms, longarm quilting machines, and frames (see compatibilities below). 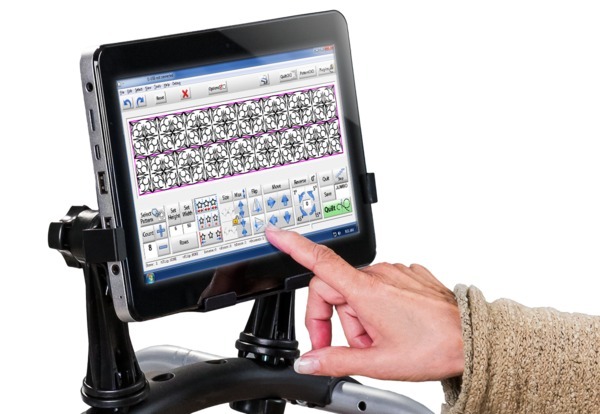 Use the Quilter's Creative Touch 4 Software with any Windows tablet, laptop, or home PC that meets the system requirements (not included). Easily upgrade from the Beginnings Package to the Standard Package to receive additional features such as PatternCAD™ and QuiltCAD™ which allow you to design, create, and edit your own patterns and quilt layouts. With the Standard QCT4 software you can batch import, convert, and export patterns in different file types. Create templates and use them for future projects. Upgrading to Quilter's Creative Touch 4 Standard Package allows you to record free-motion quilting and save it as a pattern! Learn about all of the advanced features included in the Standard Package. 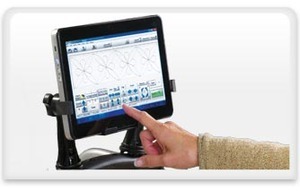 Quilter's Creative Touch Software does not come with a tablet. Here is a list of recommended Windows tablets if you don't have one already. 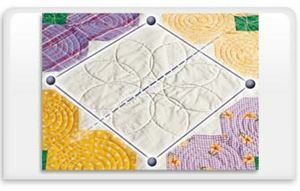 *Quilter's Creative Touch can also run a PC or laptop. 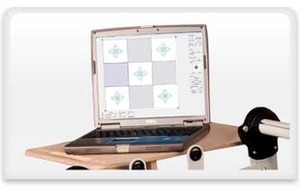 Quilting Software Help Files, QuiltMotion Help Videos, Live Technical Support. USING YOUR OWN WINDOWS TABLET. Recommended System Requirements Quilter's Creative Touch is best on Windows tablets. 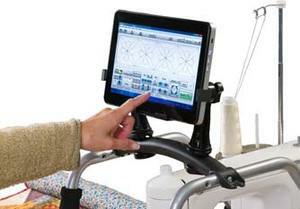 The software will also work with any Windows home PC or laptop that meets the system requirements, but it has been designed to be used with touch–screen tablets, offering the freedom to use it wherever you go, and have all of the functionality right at the sewing machine where you need it most. 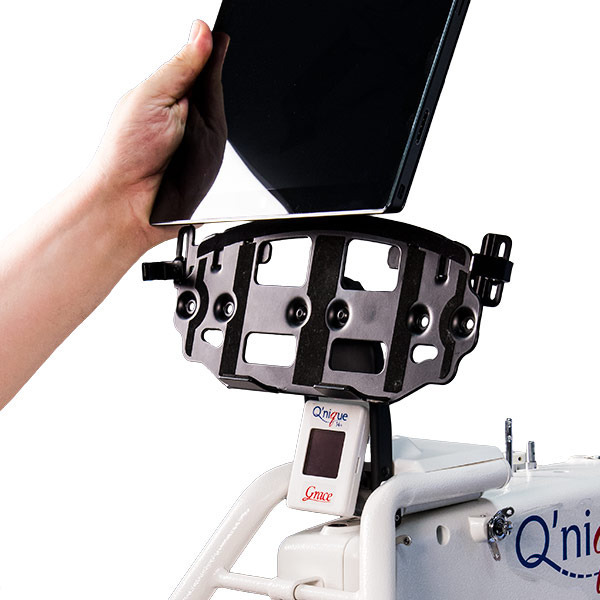 When deciding if your Windows tablet will work with Quilter's Creative Touch, here are some other suggestions to keep in mind. QCT4 will only work on devices running Windows 7, 8, 10 or higher. It will not work with any version of Windows RT. A 1.66 GHz. or faster processor is recommended. A device with a total of 64 GB hard–drive space is recommended, with at least 2GB available for installation. 2 GB or more of RAM is recommended. The included tablet mount will hold tablets with screen sizes from 10 to 12 inches. Internet connectivity is necessary for software registration, activation, and card access benefits. Already have your own collection of digital patterns? The following file types can be opened by any version of QCT4 and some versions will also allow you to export or batch import any of these file types. 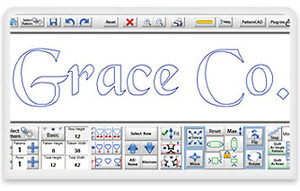 Grace QCT 4 Beginners Quilters Creative Touch Software does not include Quilt CAD which is only available with QCT Quilt Motion PRO version. *Models marked with this symbol require a proprietary brand software that can be aquired from your machine manufacturer. *Frames with this symbol require the latest carriage to be compatible. Internet connectivity and software registration are required for the initial software activation. QUILTER’S CREATIVE TOUCH 4 IS HERE! 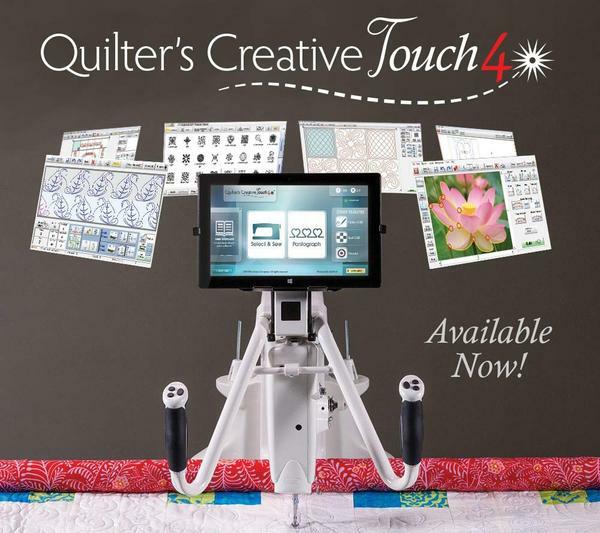 All of the latest and most powerful features right at your fingertips Quilter’s Creative Touch 4 is the top–of–the–line automated quilting system. 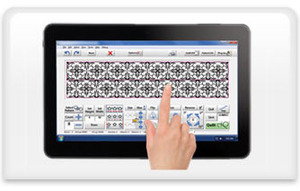 The ability to design, and quilt with absolute precision are right at your fingertips Based on our original software, QCT4 is now more powerful, yet easier to use than ever before. Precision Controlled Movements. The included motor plate attaches to the machine carriage and accurately controls the motion of the sewing machine for precise pattern stitching. Let QCT4 do all the stitching for you and you'll get the perfect pattern, stitched exactly the way you imagined it every time! EASY, USER FRIENDLY DESIGN. Tablet Shown not included. The software will only work with devices running Windows 7, 8, 10 or higher. It will not work with any version of Windows RT. This latest Upgrade of Quilter's Creative Touch features a newly improved interface that's more powerful and easier to use. More features have been added, and the software has been carefully re–designed to make pattern quilt design easier. Included Library Of Over 200 Patterns Quilter's Creative Touch Software is loaded with a library of over 200 patterns: to choose from. You can always import new digital patterns from other sources, or design your own quilt patterns on your tablet! Font Stitcher: Add unique elements to your patterns by including text and fonts from your system! Automated quilting system for editing and precisely stitching your patterns. Simple but powerful pattern software. Included motor plate and hardware to control your sewing machine Runs on Windows 7 through 10 PC's and laptops. Must be connected to a PC or laptop while in use. Powerful Quilting Software: QuiltMotion takes you seamlessly through the pattern design software to the finished quilt. Design and layout blocks, pantographs, and whole quilts, and the automated quilting software will quilt them for you! 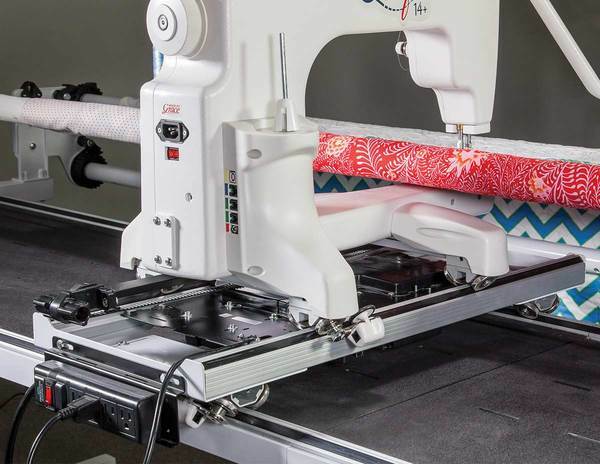 QuiltMotion Quilts Your Patterns With Precision QuiltMotion comes with a motor plate and hardware that attach to your sewing machine and quilting frame. 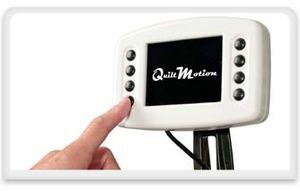 QuiltMotion controls your sewing machine to accurately stitch your quilt designs. Precise Placement Methods: QuiltMotion lets you place your patterns on quilt the exact way you want, even if you have to stretch or skew a pattern. Included LCD Screen For Easy Control: An 8-button LCD display is included to give you control right at your sewing machine. Optional Software with added functions and features like Panto Stacker, Font-Stitcher, and Virtual Longarm. Even more powerful and easy to use Works on any Windows 8 through 10 tablet or PC. Designed to work on Windows tablet right at the machine, with no computer or laptop needed. 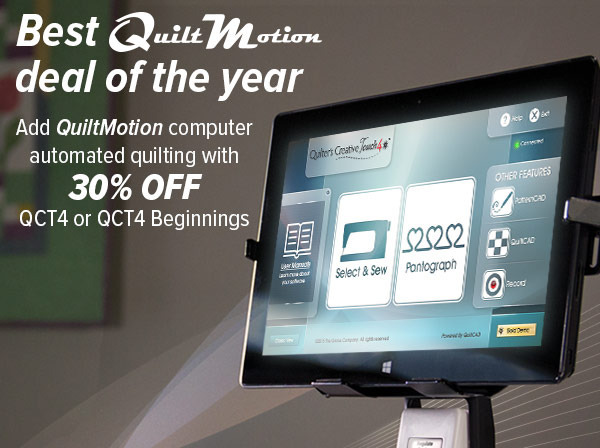 *QuiltMotion must be installed on your system in order to use Quilter's Creative Touch Software. User-Friendly Design Is Easier To Use: The Intuitive Quilter's Creative Touch Software has been designed to work on tablets running Windows 8 through 10 to put all the creative power right at your sewing machine. No PC or laptop is required when you have this easy-to-use software on a tablet. Even take the tablet and software with you, to edit-on-the-go! 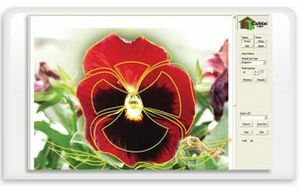 Optional Quilt Motor Pro: Trace New Patterns From Photographs: Create quilting patterns from your favorite photographs! QuiltMotion lets you trace them and save them as quilting patterns. 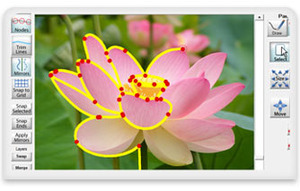 Optional Quilt Motion Pro: Trace New Patterns From Photographs: Create quilting patterns from your favorite photographs! QuiltMotion lets you trace them and save them as quilting patterns. Optional Panto Stacker: Simplified Pantograph Creation: Creating and editing pantographs is even easier with Panto Stacker! Alternate rows, sizing, and number of patterns can all be edited in a few simple clicks. Optional Virtual Longarm (Patent Pending. ): Quilt larger patterns, no matter the size of your sewing machine! Virtual Longarm splits and prepares patterns to be quilted by machines with various sized throats. 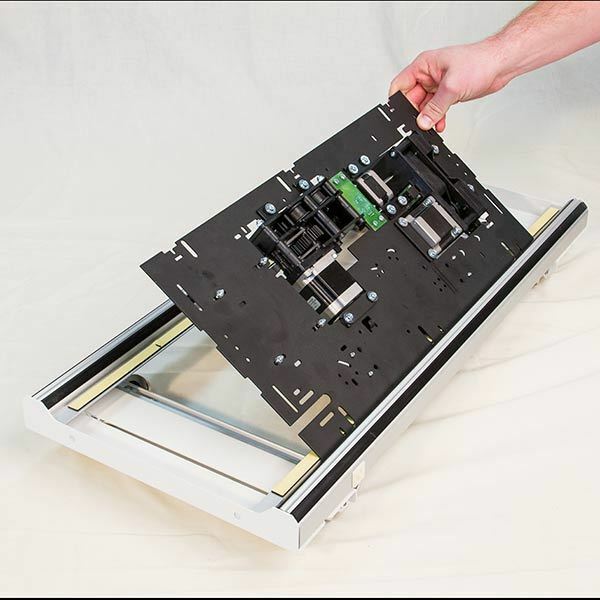 This Motorized Platform and Plate moves your sewing machine and is what allows it to quilt out your patterns by itself! 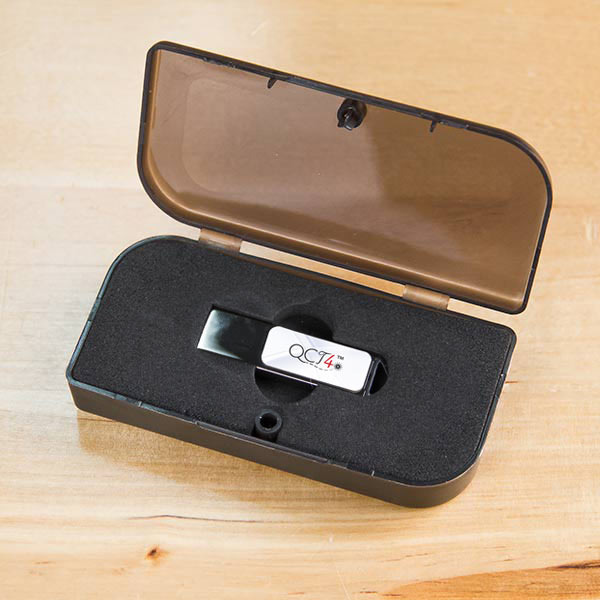 This Quilter's Creative Touch 4 software comes on a convenient flash drive, and can be installed on any windows 7 or 8 tablet. 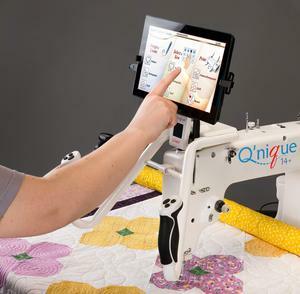 Put the power of Quilter's Creative Touch 4 right at your fingertips by mounting your windows tablet right to the sewing machine! The only reason I gave a low score for shipment speed is I ordered a product on Nov 22 and it was only shipped out two days ago. In all fairness, this was a product being shipped by Grace Company. The hardest part of my order was the wait because of the holidays lol. Extremely satisfied of this order. I did not know that this was so affordable. Thank you!